We can fulfill the requirment of Iron Powder dust or cuttings as per customer need. Owing to the rich industrial experience and expertise in this business, we are engaged in providing Blue Metal. Leveraging the skills of our qualified team of professionals, we are instrumental in offering a wide range of Blue Metal Dust. We are authorized suppliers and manufacturer of Blue Dust (Powder form). Unwashed material will be suitable for washer plants as well as steel plats who makes Iron Ore Pallets. Washed material will be suitable for cement plants. We are a most trusted name in between the topmost companies in this business, engaged in offering Blue Metal Dust. Our product range is available in different packaging standards as per the client’s demands. This Blue Metal Dust is a classy looking material which is widely used in bedding for paving stones. We supply good quality of Blue Metal Stone in all sizes. We offer Blue Dust which is an iron ore having highest concentration of very soft and fine hematite. 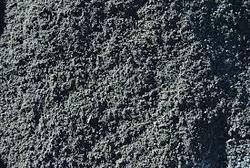 Blue Dust is used in a number of industrial applications where hematite is required. We offer different grades and specifications of Blue Dust as per the demand. We supply a wide range of blue metal dust which is a very fine dust or waste material left over from making blue metal is a classy looking material. Blue metal dust is used widely in bedding for paving stones. We offer our range of blue metal dust in various grades as per the client requirement. We are engaged in exporting a wide range of blue metal dust.